In Native American cultures, the “four leggeds” are revered. Understandably, however, compared to meeting the immediate need for food, shelter and healthcare, caring for reservation animals is often not a priority for reservation families facing extreme poverty. 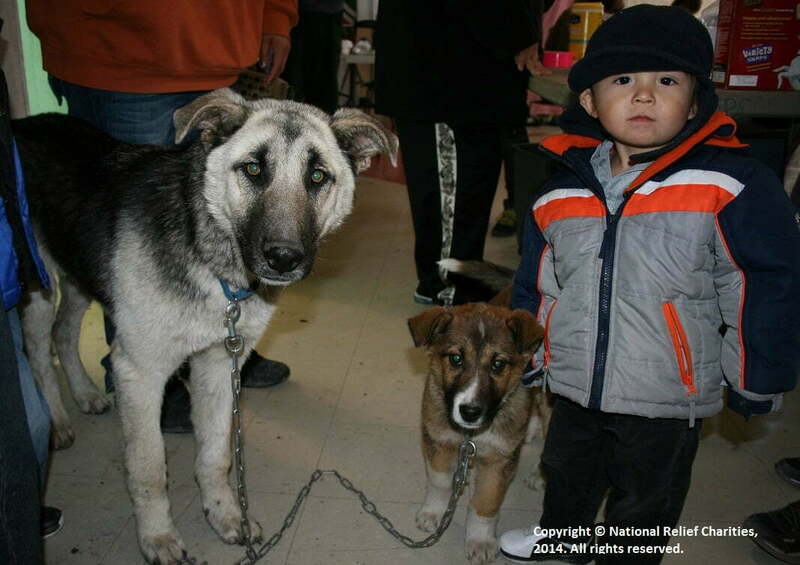 This is why we started the ROAR program – Rescue Operation for Animals of the Reservation. Through ROAR, we support immediate and long-term needs related to animal welfare, education and community health risk. In 2013, we maintained partnerships with animal welfare providers on 14 Native American reservations, benefiting more than 72,500 animals. These partners feed, rescue and rehabilitate injured, sick or orphaned animals and strays. They conduct spay/neuter clinics and community education on proper animal care. Many of them operate shelters and facilitate or transport pets for adoption on or off the reservations. Their work also reduces community health risk related to rabies, animal bites and disease. Thanks to all of my team who worked so hard today and to all of our community members who brought your animals in! We love clinic days and making a difference in our community families! The Build-A-Bear Workshop Bear Hugs Foundation is committed to making life more bearable for children, families and pets in need of a helping paw. With the sale of each full-sized Bearemy’s Kennel Pals© friend – a collection of Build‑A‑Bear Workshop© plush dogs – Build-A-Bear donates one dollar to domestic pet programs including local animal shelters, stray rescue and rehabilitation organizations, and pet education programs around the country. These funds are available to qualified non-profits in the U.S. and Canada. To learn more, visit www.buildabear.com. **Moderator Note: In 2016, we changed the name of our ROAR animal welfare program to Reservation Animal Rescue (RAR). This entry was posted in Grant Projects, Programs and tagged animal shelter, animal welfare, Build-A-Bear, Build-A-Bear Workshop, Indian reservation, Native American, Oglala Pet Project, Pine Ridge, rescue and rehabilitation, ROAR, spay/neuter. Bookmark the permalink. Trackbacks are closed, but you can post a comment.